Just a couple days before the anticipated Apple event, the blogosphere went crazy as the first hands-on video of the iPhone 6 was published. 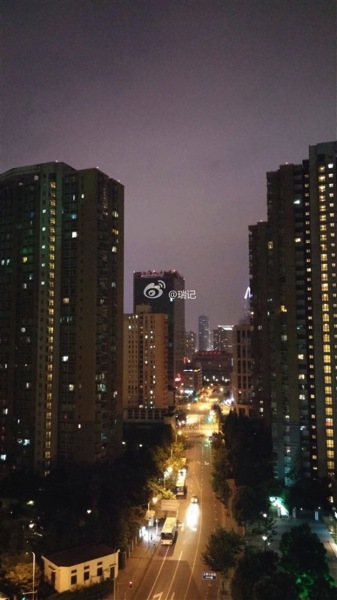 Weibo user zzray presented an alleged iPhone 6 powered on. Now, the same user has shared other tidbits about the device, such as Geekbench 3 results revealing that it clocked 1.38 GHz and has 1 GB of RAM. Zzray also shared images captured with the handset (via GforGames). 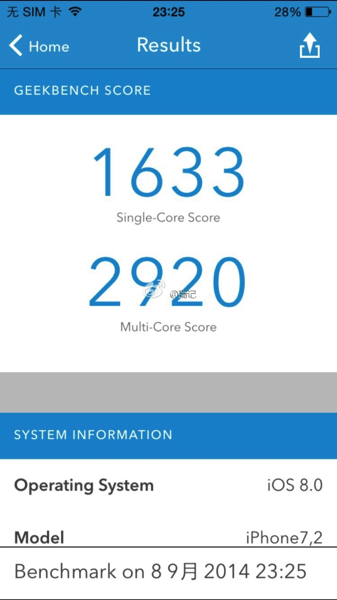 As you can see from image above, the alleged iPhone 6 (iPhone 7.2), powered by a 1.38 GHz ARM processor, has higher scores on both single and multi-core: it scored a 1633 on the single core, and 2920 on the multi-core test. This compares to the 1305 single core and 2347 dual-core Geekbench 3 scores posted by PrimateLabs. What we are wondering, though, is how the iPhone model ID appears instead of the model, and why the Geekbench app recognized the Apple A8 chip, as it does with the other models. 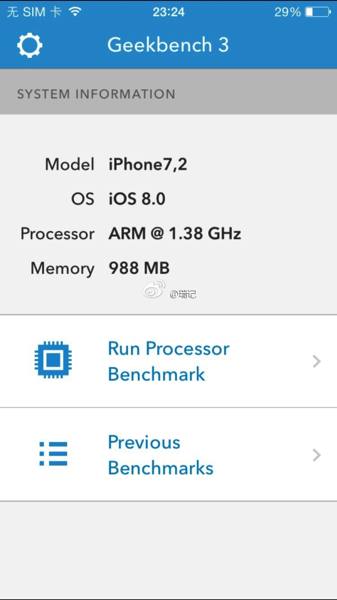 Apparently, these results contrast previous rumours claiming that the iPhone 6’s A8 SoC would be clocked at 2 GHz, but confirm the rumoured 1 GB of RAM. 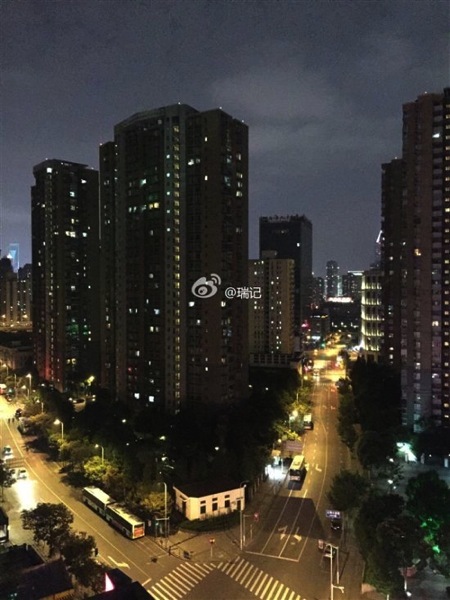 The Weibo user also shared photos taken with the iPhone 6, showing an improved rear camera with faster focus. 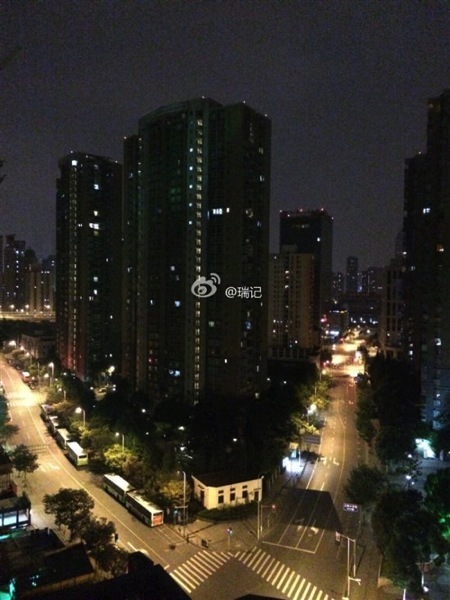 You can see the image taken with the iPhone 6 compared with those taken by the iPhone 5s and LG G3. Apple will unveil the next-generation iPhone in just a few hours. Stay tuned – we’ll keep you posted.